A pain relief chiropractic center serving the Sacramento area since 2011. Are you struggling with pain that is limiting your exercise or work? Do you feel like you haven't received good answers for your problem? Short term care, that is convenient, affordable and mainstream. We work with many local medical doctors in the area. We have been dedicated to serving the people of East Sacramento, Arden Arcade, Carmichael, Land Park, and Midtown with cutting-edge care since 2011. 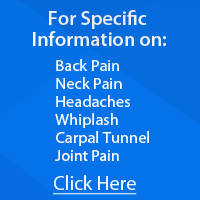 We offer short term care for neck and back pain relief, so you can get on your way and out of our office quickly. We provide ongoing online support so you stay well and don't have to come in over and over again for the same problem. You will get helpful tips to hasten your symptom relief and to maintain long term results. In addition to chiropractic we offer Active Release Technique for your muscle and tendon injuries. In short, we care about you and your continued well being. You're likely here right now because you're ready to get back the movement you once had. Maybe you struggle with aches and pains while performing your sport, activity or work duties making it difficult for you to feel like you once did. It could also be that you could use more energy, play, and motion in your daily life. If you're like many of our patients, you're seeking an alternative or complement to conventional medicine. 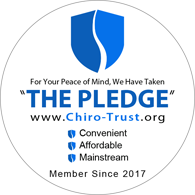 You want short term care for your neck and back pain so you can get moving and on with your life again as soon as possible, without having to commit to long term treatment.